Hello February! Chapter two of twelve for 2019! With the weather still being fine, the South African sun still beaming and the trees still lush, there is no better month to be outdoors enjoying the gems our country has to offer. Excitingly, Ground in Muldersdrift has a few magical surprises in store for the month of February. Henry Miller once said, “the one thing we can never get enough of is love.” With Valentine’s Day around the corner, Ground has the perfect date night offering for all the special couples looking for something unique to do. Spend some time away from the Joburg city skyline and escape into the magnificent Muldersdrift countryside for a breakfast or lunch date in the fresh outdoor air in the heart of the Cradle at Ground Café. Open from 8:00am to 16:00pm, spoil your loved ones to a Valentines inspired menu. The menu includes delicious mezzo platters perfect for sharing, homely style warm and wonderful dishes and the chef’s selection of speciality desserts. For only R230 for a two course meal and R280 for a three course mean, this is certainly an outing not to be missed. For more information visit the Ground Café Facebook page, alternatively email callie@projectground.co.za or call 0836360443 for reservations. If the thing you love most happens to be an activity, Ground has just the event for you. On Saturday, 23rd February, Ground will be hosting their second addition of the Moving Ground exercise series: Moving Ground Vol. 2. With an all new route selected specifically for the event, choose between a 5km and 10km run, perfect for beginners or running addicts. Bring your family, friends (new and old) and fitness fundies along for a day of fresh air, magnificent surroundings out in the countryside , delicious food, beers, gins, lekker music and more! Simply visit Howler to purchase your tickets now and join the Ground team as we all hit the Ground running! 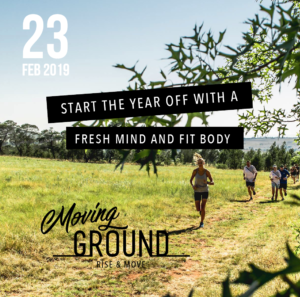 With a few sneaky surprises for the runners attending, we don’t want to give too much away, however, be sure to keep your eyes peeled on Ground’s Instagram and Facebook for the latest sneak peaks and everything you need to know about the epic upcoming fitness morning. Last but not least, with so many wonderful engagements having taken place over the festive season, Ground has decided to put together the most wonderful winter special for weddings booked between the months of May and August. 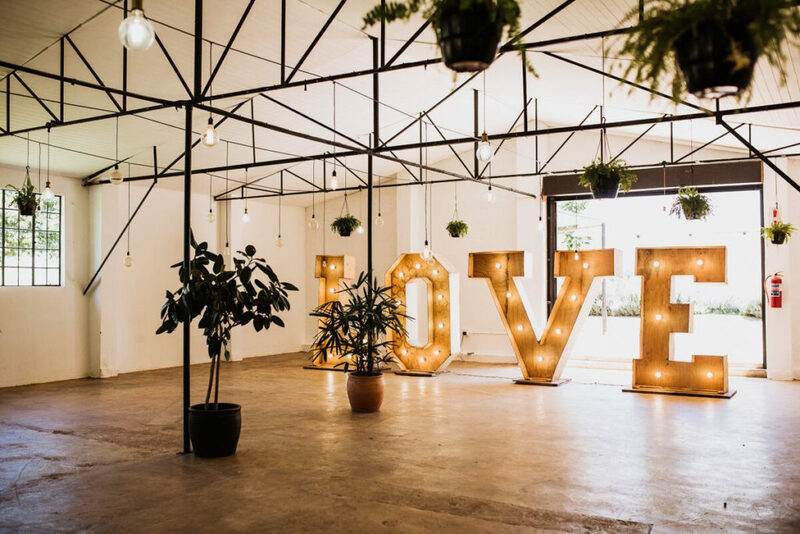 Who doesn’t want a Winter Wonderland wedding, and with this special winter offering, Ground has delivered the best one yet, with an offer of R10 000.00 off venue hire. With an offering as big as this, even the summer lovers will be wanting to get married in the icy months of the year. The Tobacco shed is a perfectly cosy place to be spending a warm winters day, with the ability to be transformed into any couples fairytale. Snuggle up under the Pecan Nut trees with a warm mug of coffee or simply enjoy the dewey grass from afar, Ground has the potential to be anything you want it to be. Do you know anyone getting married this year or are you wanting to get married under the winter sun? Contact info@projectground.co.za to find out more about this once in a lifetime offering that promises to ensure your big day is nothing short of a winter fairytale. Did you get married at or know of anyone who has had their special day at Ground? Please share your wedding images if you are wanting to be featured on the Ground Instagram and Facebook platforms. For more information about upcoming events, the most magnificent weddings and more, be sure to follow Ground on Instagram and Facebook. Ground, where it all begins….